This is the ultimate summer pasta recipe! It’s healthy, amazingly refreshing & so delicious the whole family will love it! Plus you can whip it up for Christmas day to add a healthy touch to your feasting! 1. Cook pasta according to packet instructions. Once cooked, run under cold water, drain & place in salad bowl. 2. Place olive oil & lime juice in a bowl & mix. Add coriander leaves & stir in sweet chilli. 3. Transfer to a bowl & set aside. 4. Mix dressing through pasta. 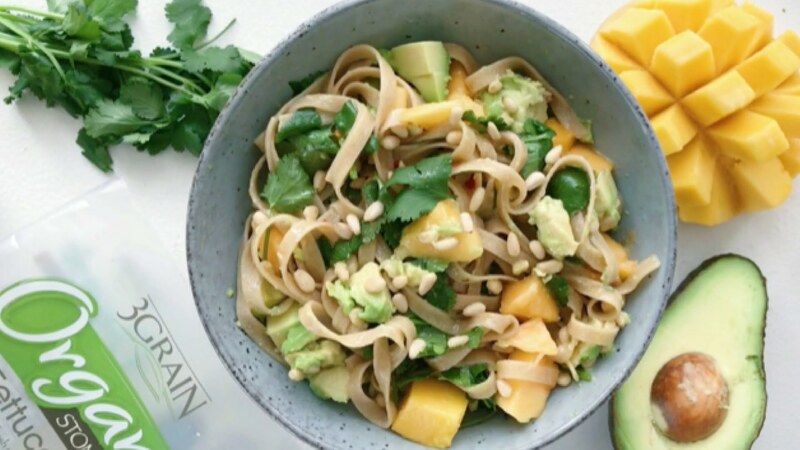 Add mango, avocado & pine nuts. Stir to combine. Enjoy. 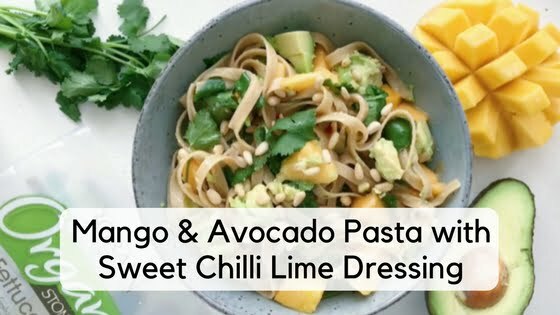 This Mango and Avocado Pasta has become a family favourite and has been loved by visiting friends, also! Thanks Alison! So glad you like it! !